Students in grades kindergarten through 12 may submit entries for this year’s contest through Feb. 1. The Cherry Hill African American Civic Association and the Cherry Hill Public Library are sponsoring an Essay, Poster and Video contest for Black History Month in 2019. The contest is open to all public school students in Cherry Hill in grades kindergarten through 12. The essay, poster, or video must depict a famous local African American who was either born in or from New Jersey or Philadelphia. African Americans have been present in New Jersey and Philadelphia from colonial times through the present. This history has been wrought with bittersweet experiences and monumental firsts. New Jersey has some notable distinctions: ratified the thirteenth amendment (which abolished slavery and involuntary servitude) after first rejecting it; ratified, then rescinded and then ratified fourteenth amendment (which addressed citizenship and equal protection of the laws); and ratified the fifteenth amendment (prohibited denying the right to vote based on race, color or previous conditions of servitude) after first rejecting it. Despite this history, African Americans from the area have made major contributions to the region and the nation. There will be three winners in each of the seven categories: kindergarten through first grade; second and third grade; fourth and fifth grade; sixth and seventh grade; eighth and ninth grade; 10th and 11th grade; and 12th grade. Cash prizes will be awarded in each category. Entries can be submitted through Feb. 1. Entries may be submitted written or hard copies on a CD, DVD, flash drive or email to chaacamembership@gmail.com. 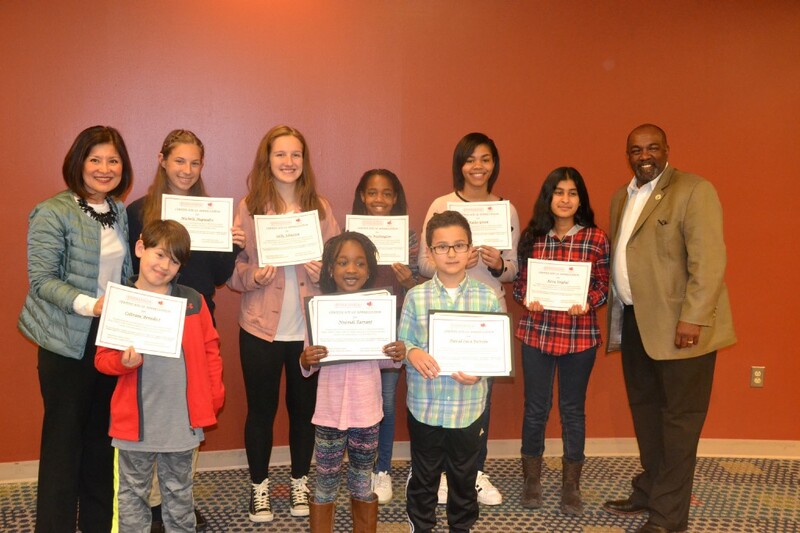 Winners will be recognized at the Feb. 26 Cherry Hill Board of Education meeting and entries will be displayed at the Cherry Hill Public Library. A reception will be held on Wednesday, March 6 from 6 to 8 p.m. at the library. The full list of guidelines and rules for the contest can be found at https://chplnj.org. In addition, judges are needed for this year’s contest. Judges may not be Cherry Hill public school employees and must be at least 21 years old. Meetings for the judges will take place at the library on Monday, Feb. 4 and Tuesday, Feb. 12, both at 6:30 p.m. To inquire about becoming a judge, contact program chairperson Cathleen Jenkins at csaxjenks@gmail.com or (856) 383–2486.